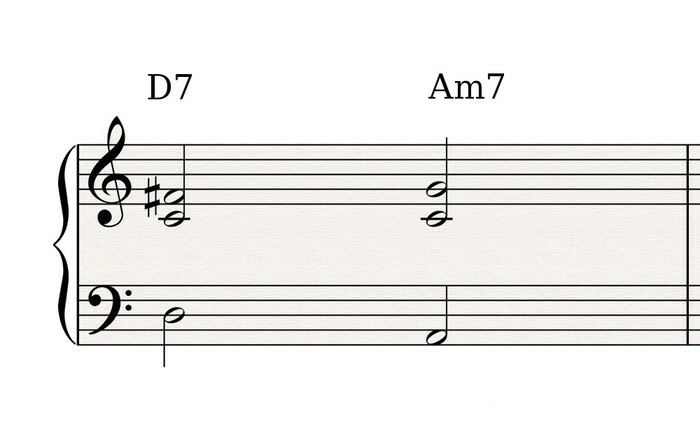 In the previous article you saw the notes that are best suited to create voicings and those which ought to be avoided. In this one we will focus our attention on voice-leading and certain rules you should consider when exploring this technique. As I explained to you in article 30, when I introduced the topic, voice-leading refers to coherent voice movements. 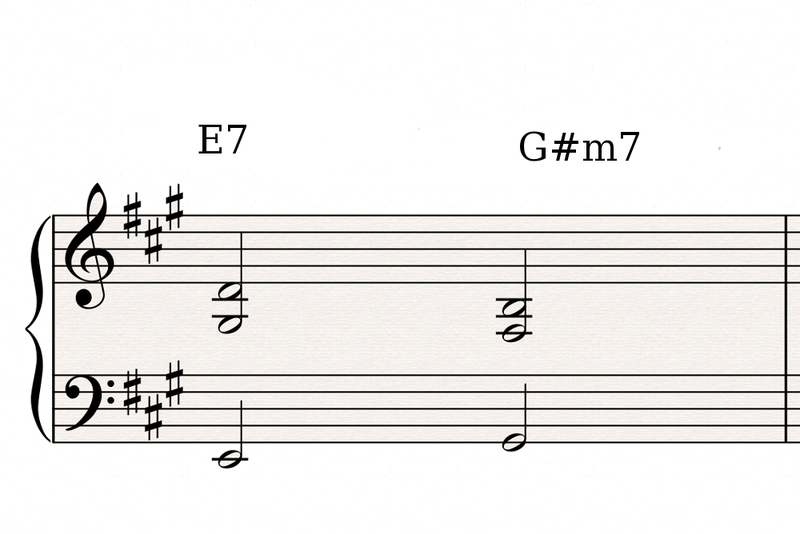 Let's go briefly back to the end of that same article, where I told you about the different harmonizing voices: melody, bass line and middle voices. The melody and the bass line can be relatively free, in the sense that they can be formed using both conjunct and disjunct motions (see article 22). However, when it comes to middle voices it is recommended - although not mandatory - that they use conjunct movements. 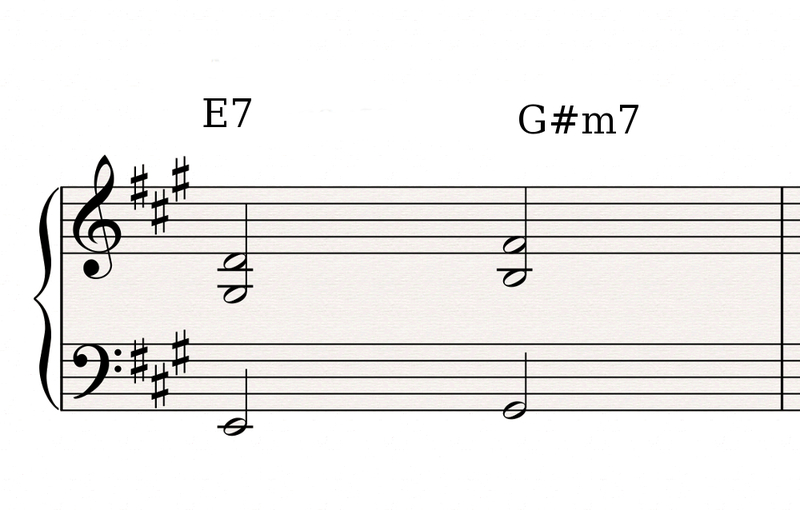 In other words you should prefer building secondary melodies with notes that are as close as possible to each other (see article 22). Why? 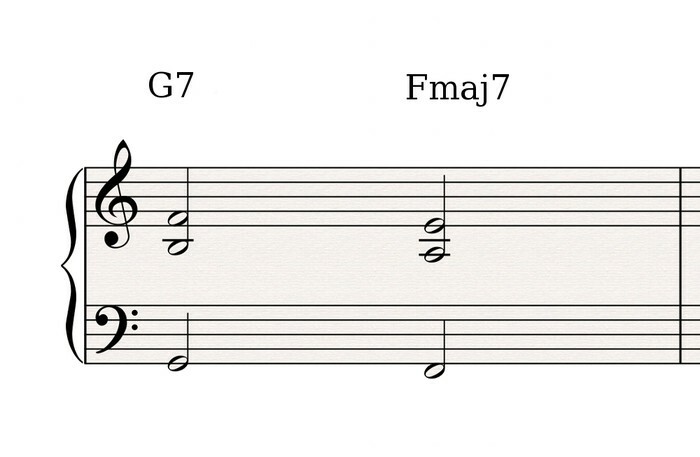 The use of conjunct motion for voice-leading allows you to naturally avoid large note leaps. 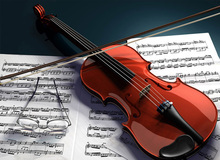 And once a voice remains within a given range, the least likely it will invade that of other voices and, hence, the clearer its musical message. That's the case of the secondary melody on article 31. As you can easily observe, it is made up exclusively of conjunct movements and it is perfectly delimited in its range. 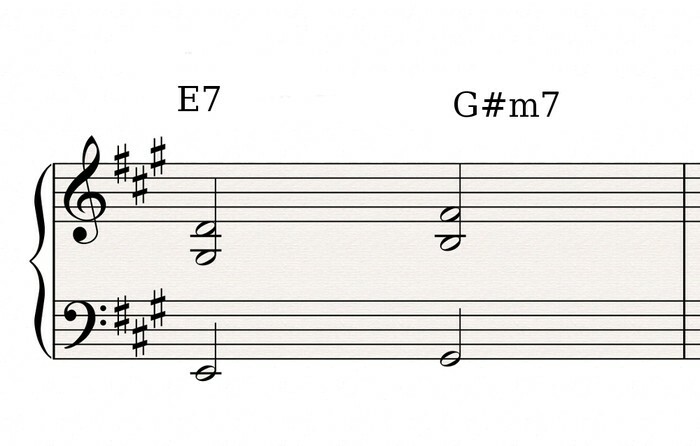 You will now learn some rules to help you with voice-leading in accordance with the motion of the root (we'll consider a scenario where the root is at the bottom and the chords on top develop openly). Voice movements evolve differently depending on the motion of the root. You can see this more clearly in the following examples. When the motion of the root is not too large the other voices move in parallel. In the example below, the root moves one full step, so the other voices move in parallel. When the root moves one third you can have either parallel or contrary motions from the other voices. The same applies when it moves a sixth. In the following example the first movement is parallel and the second one is contrary. Finally, when the root moves a fourth or a perfect fifth the third moves towards the seventh and vice versa. 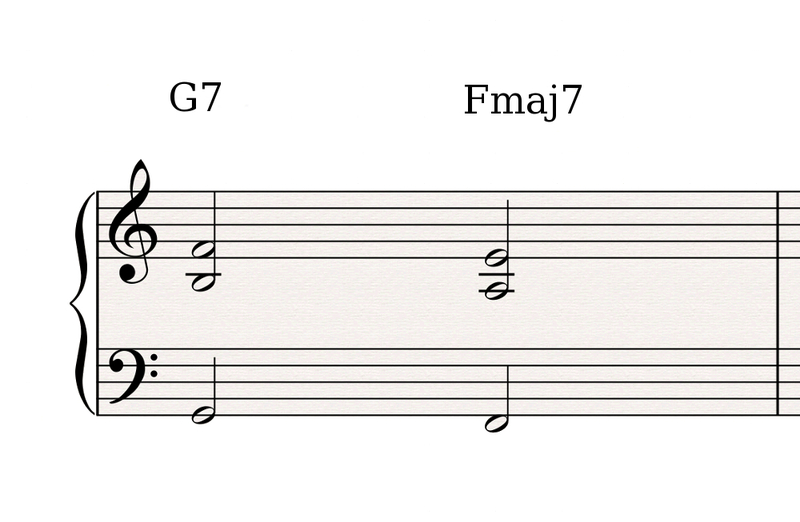 In this case, the F# (third) of the first chord moves towards the G (seventh) of the second chord, and the C (seventh) of the first chord towards the D (third) of the second chord.